In addition to the nervousness that involves presenting a topic to an audience, whatever it is, our goal as a presenter is to make the presentation effective, that is, to get the right message to the projected audience. 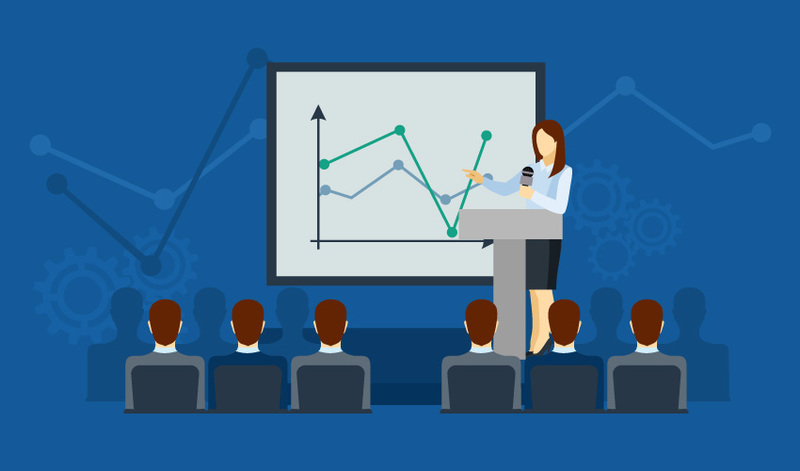 Making the presentation dynamic and interesting increases the chances of achieving an effective presentation. For this, we can resort to download sites of PowerPoint presentation templates and choose a presentation theme that is appropriate, not only for our topic or area of interest but also for the audience and the message we want to convey. In sites like SlideModel.com you can have access to a thousands of PowerPoint presentation templates that use graphics and 100% editable elements, allowing you to achieve visually appealing slide and getting out of the ordinary. What makes SlideModel so special for presenters and presentation designers? Each presentation has its objective and purpose, and as a presenter, we can rely on PowerPoint slides to transmit a message. In some way, we are supporting our speech using hardware and software that was created for that purpose. Whether for a commercial purpose or in the educational field, there are PowerPoint templates that can be used for this. By using editable templates, the presentation designer can customize the presentation by making it more specific to the subject in question. Taking advantage of the PowerPoint shapes the designer can edit the shapes and change colors or effects creating an infinite variety of designs, or following a particular corporate visual identity. The use of existing diagrams also facilitates the task of the presenter and designer of presentations. Using diagrams that are visually appealing, the presenter can include them in their presentations and adapt the text with placeholders, achieving a better quality and visual impression. This helps to combat Death by PowerPoint. The 100% editable maps also offer an alternative to other solutions. Using and editing PowerPoint maps we can easily highlight a specific area to give more emphasis in the presentation. Editable diagrams are also an alternative to the SmartArt objects that PowerPoint brings. Using 100% editable diagrams we can incorporate them into our presentations and help display data in a slide in a visually appealing way. There are plenty of editable diagrams available online, some of these are free, like the free SWOT diagrams, but SlideModel also offers access to thousands of editable diagrams that could be easily customized and as a subscriber you get access to priority support. The next time you need to present a topic, if you support your speech using PowerPoint presentations, you have multiple options to produce high-impact presentations. Start designing the slides from scratch or reuse some of the existing presentation themes out there.